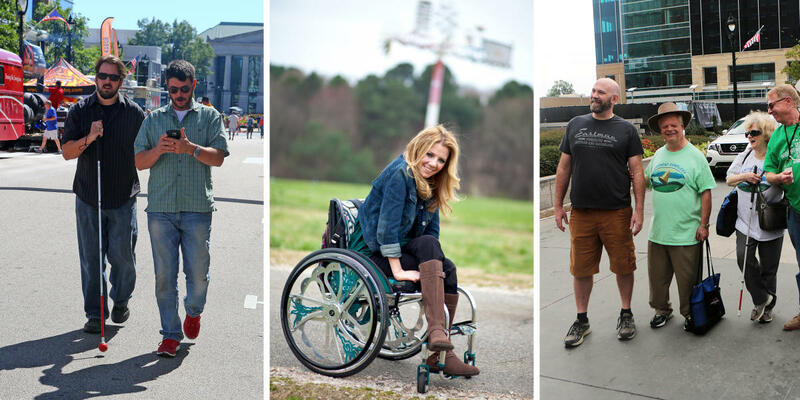 One of the visitor service areas that we are talking about more often here at GRCVB is accessibility—making Raleigh and Wake County’s offerings for visitors available to people of all abilities. Julie Brakenbury, CGSP®, director of services, dealt with the topic in this blog a few months ago. 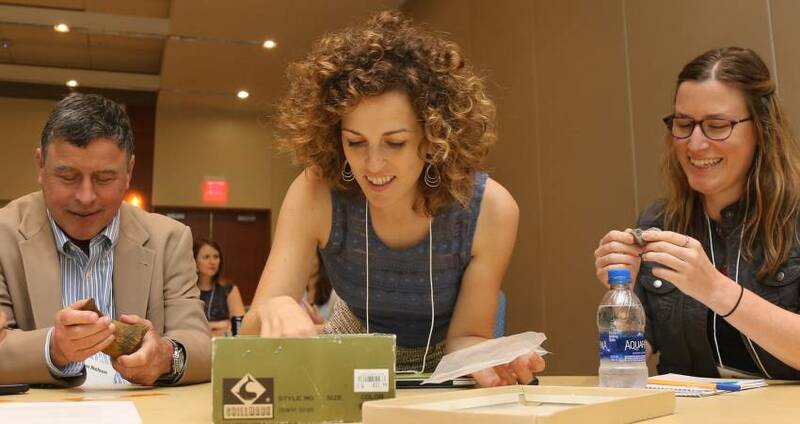 Today we are sharing more of what we learned at the Universal Access and the Arts Day on June 21, 2018, at Raleigh Convention Center. 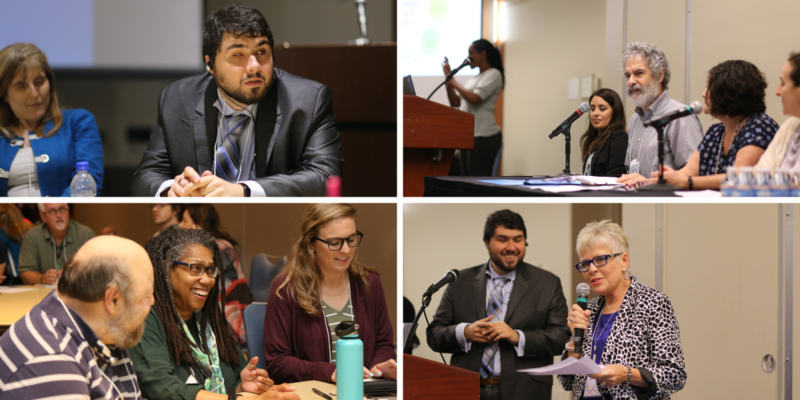 Attended by community arts leaders and those interested in accessibility, the event brought practitioners and industry leaders together to talk about what has already been accomplished in the arts in Wake County and how we can continue to grow in this area. The plenary speaker was Sina Barham (a graduate of North Carolina State University) who heads Prime Access Consulting, Inc., a company which specializes in using technology to make products and services accessible to people of all abilities. Sina has worked with museums, performing arts organizations and information learning spaces to help make exhibits and programs available to those with hearing, sight and other disabilities. He was awarded the White House Champion of Change award in 2012. Here are the questions for us—how do those of us who are charged with serving the public (in this case, visitors) make our experiences accessible to as many people as possible? How do we shift our mindset to make sure people with disabilities are included from the very beginning of our thought processes and not (as it has tended to be) as an afterthought? That concept is called universal design—one of Sina Barham’s building blocks—and where he encouraged Wake County practitioners to begin. The day was “a wonderful reminder that universal design makes everyone&apos;s experience better,” said Linda Dallas, artist and assistant professor of art at Saint Augustine’s University. Accessibility is about serving people, and after all, isn’t that what hospitality is? Sarah added, "Inclusive design projects really get the creative juices flowing. As an arts person, I appreciate experiencing and making art in new ways. Sina&apos;s visual description session turned an access project into a literary exercise. The final results were so beautifully written that they made me see things in the artwork I hadn’t thought about before." She also said, "Whenever I’ve worked on change management projects in the past, you always find out after the fact that there were negative unintended consequences. The changes mean good things for one group of people but actually create issues for another group or department." "Accessibility is the only area I&apos;ve seen," Sarah said, "where you make improvements for one group of people and the ripple effect is that there are unexpected benefits to others in surprising ways. UPS drivers and parents with strollers love curb cuts; closed captioning on TVs means you can follow programs in noisy bars and airports too; security guards are some of the best people to write verbal descriptions of modern art (they know the work really well and they use language that works well for the average person—not just art connoisseurs."